Jamaat-i-Islami (JI) emir Sirajul Haq on Monday announced that his party will launch an 'accountability march against corruption' from Lahore to Islamabad between September 12 and 16. 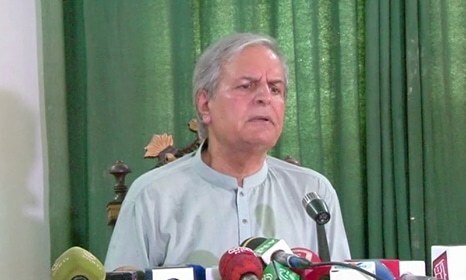 "Institutions in the country have been crippled because of corruption," Haq said during a press conference at Islamabad Press Club. "I see Nawaz Sharif leaving the country soon, but that will not protect him from accountability." "Everyone should be held accountable [...] We stand with the courts," he said. Haq reminded the media that JI began its movement against corruption on March 1, 2016, when the country's structure and its institutions were being destroyed. "A [wider] rebellion against corruption began as a result of our movement," he claimed. 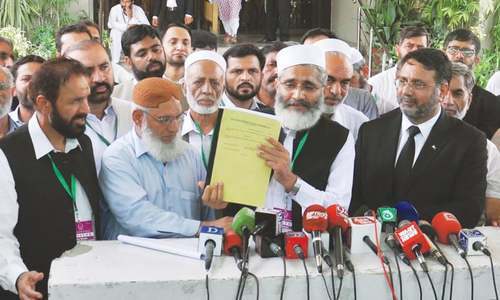 Calling for across-the-board accountability, Haq said that the JI demands that other Pakistanis named in the Panama Papers should also be held accountable and that Articles 62 and 63 should also apply to judges and generals. At least 259 Pakistanis were named in Panama Papers leaks last year, while offshore companies of another 150 Pakistanis had been revealed in 'Bahamas leaks' last year. Haq on Monday demanded that Volume X of the Panamagate joint investigation team's (JIT) report, the government's inquiry report on the Dawn story matter, and Justice Baqir Najfi's report on the Model Town tragedy should also be made public. 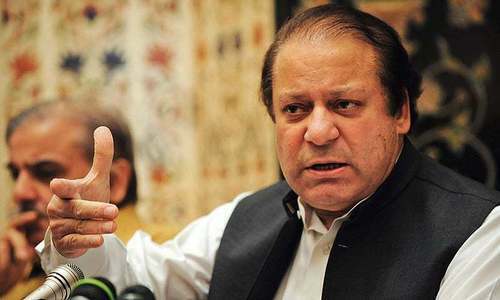 Referring to Sharif's recent comments on the Supreme Court's Panamagate decision and refusal to appear before the National Accountability Bureau (NAB), he said: "Nawaz Sharif is running a campaign against the courts" and has refused to present himself for accountability, which is a new challenge for the court. "It means that his hands are not clean." Way to go... Keep it up J.I. Not alone but other parties who have real concern about Pakistan have join together to eradicate corruption. J. I need to reform itself to include youg and educated as well. JI too little too late ... better than JUI surely. This march should be from Islamabad to Peshawar. It's very easy the list of suspected known names already written in Panama Leaks,besides some alleged corrupt politicians already under investigations by NAB, while more help can be gathered through media & press, just check the newspaper for last 2 years you can make another list. So it's very easy for JI to ask concerned for across the board accountability. But accountability is not enough,after accountability the process of recovery of public money be ensured.People of Pakistan want all their money back in treasury,be it in Swiss Banks, Offshore Companies,Dubai Banks, or Dubai-London properties. A common way of catching common public attention in Pakistan. That is a good thinking against intentions of PML N move in the NA in connection with Election Bill. Inventor of MARCHES . What they are extracting from that MARCH. useless.